TAMPA, Fla. (May 7, 2018) – Building upon the success of its global TriClub program, IRONMAN announced IRONMAN® 70.3® Eagleman today as the 2019 North American TriClub Championship, to be held on June 9, 2019. IRONMAN 70.3 Eagleman follows IRONMAN 70.3 Florida, which hosted the North American TriClub Championships in 2018, and IRONMAN 70.3 Puerto Rico, which hosted the event in 2017. 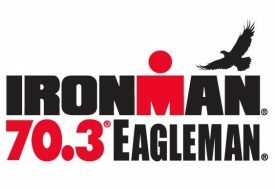 IRONMAN 70.3 Eagleman was chosen to host this prestigious event through an online athlete poll. The IRONMAN TriClub program has grown to host approximately 3,400 active clubs and, of these clubs, more than half are from North and Latin America and represent over 175,000 athletes. Introduced in 2012, the IRONMAN TriClub Program was designed to help triathlon clubs drive membership, provide networking opportunities and create a sense of friendly competition. Throughout the year, participating clubs earn points every time their athletes cross an IRONMAN® or IRONMAN 70.3® finish line. Each club is assigned to a division based on the club’s membership size. The club in each division that accumulates the greatest number of points by the end of the calendar year receives the title of IRONMAN TriClub World Champion. For more information about IRONMAN 70.3 Eagleman, visit www.ironman.com/eagleman70.3. For more information about the IRONMAN TriClub Program, go to www.ironman.com/triclubs. Inquiries about the program may be directed to triclub@ironman.com. For more information on the IRONMAN brand and global event series, please visit www.ironman.com. Media may contact press@ironman.com. A Wanda Sports Holdings company, IRONMAN operates a global portfolio of events that includes the IRONMAN® Triathlon Series, the IRONMAN® 70.3® Triathlon Series, 5150™ Triathlon Series, the Rock n’ Roll Marathon Series®, Iron Girl®, IRONKIDS®, International Triathlon Union World Triathlon Series races, road cycling events including the UCI Velothon Majors Series, mountain bike races including the Absa Cape Epic, premier marathons including the Standard Chartered Singapore Marathon and other multisport races. IRONMAN’s events, together with all other Wanda Sports Holdings events, provide more than a million participants annually the benefits of endurance sports through the company’s vast offerings. The iconic IRONMAN ® Series of events is the largest participation sports platform in the world. Since the inception of the IRONMAN® brand in 1978, athletes have proven that ANYTHING IS POSSIBLE® by crossing finish lines at the world’s most challenging endurance races. Beginning as a single race, IRONMAN has grown to become a global sensation with more than 200 events across 50 countries. For more information, visit www.ironman.com.